Early Libyan Christianity: Uncovering a North African Traditionby Thomas C. Oden. IVP Academic, 2011. 196pp. Also "Missional Spirituality: Embodying God's Love from the Inside Out" by Roger Helland and Len Hjalmarson. IVP Books, 2011. That's not a phrase one hears very often—at least not for the last eighteen hundred years. No, I wasn't tempted by Praxean fruit, lured into the lair of a Euxian monster, or otherwise at risk of falling into any of the other innumerable heresies that Tertullian combated during his tenure as a leading Latin apologist. I was, at the time, an Evangelical of Evangelicals, a Wheaton student, grandson and nephew to missionaries. I had gone on missions trips, indeed participated in all the panoplies of youth ministries—camps, conferences, over-nighters, extravaganzas. By the time I went to Wheaton, my soul was certainly saved and often warmed. Only it wasn't enough. Poverty struck. Health issues struck. Family disasters struck. Bad things repeatedly happened to good people, and among those good people I included myself, my family, so many of my friends. I was doing everything right, as much as I could do it, as much as I knew how. Yet, everything went wrong. My health stumbled, my social life crashed, my inner light dimmed. What was this faith for, if it led to life becoming more and more of a misery? Pastors were of no help. "It must be sin," one said, because apparently disasters only strike those who earn them. Others listened to my questions, my quests, and became silent. I was already evangelized, and so the church of my youth had very little to say to someone like me. Go out, and do, it could say. Save souls, it could exhort. But why, I asked, would I invite someone into this life of faith that had become so miserable to me? I had questions about faith, about life, about Scripture, about the future and about the past. The faith of my youth no longer had any answers. Then I took a class on church history—a requirement for my major. I didn't want to take it. Church history was a waste of time, right? Dead men with dead faith. So I thought, because that is what the church of my youth taught me. We started with the Apostolic Fathers. My mind was blown. What was this faith that they were speaking of? This passion I recognized, but not the depth. Not the width. Not the breadth. We had to choose a research topic, and I chose Tertullian. Studying Tertullian gave me words I did not know existed, concepts that I did not know available, insights that I honestly thought were foreign to the faith of my own fathers. My faith crisis was not solved—it took many years and many coordinating contributions to accomplish that. What was saved was my hope. I discovered a truly radical faith in the midst of constant struggle that pointed toward Christ and his Kingdom in a world that often despised it. I began reading Tertullian and others from that era not as historical theology, but as living faith, models for my own faith, intellectual and spiritual guides for a new resurgence of my living with Christ. I was, I might even say, born again, again, in the streams of early Church History. Did you know that Tertullian was Libyan? I didn't know that. I'm still not entirely sure it's true, but Thomas Oden believes it is true. And when Oden speaks about the early church, we should listen. I should probably add that while we share the same Norse All-Father patronymic, our fathers or father's fathers, or any fathers that can be adequately traced do not seem to be related. Yet, again and again, I find my interests overlapping with his expertise. The early church, theology, Wesleyan studies—these places and more I keep running into Thomas C. Oden. I have never been, however, particularly interested in the topic of Libyan church history. Neither have most people. Egypt, sure: Egypt abounds in Christian lore. Tunisia, absolutely: Carthage was located in what is now Tunisia, and Carthage is where Tertullian wrote. But Libya? Even those people who profess an interest in church history have not been particularly interested in Libyan church history. Oden became interested in Libya while editing the Ancient Christian Commentary series. So he went to Libya to study its history and he wrote Early Libyan Christianity: Uncovering a North African Tradition to encourage others to study it as well. 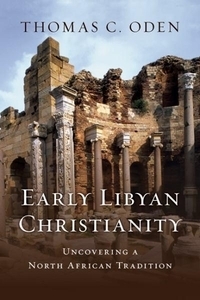 Christianity circulated among Libyans from the earliest days. Cyrene, and Libya in general, was an important place in the Roman Empire, so it was natural that forms of Christianity would begin to develop there and become likewise important. How early? How important? That is a matter of speculation—and Oden takes many leaps of speculation in this text. He warns us that he is doing so, and indeed his speculations on early church history are often worth much more than most people's facts. And yet, after a while, Early Libyan Christianity begins to feel less like a scholarly monograph and more like a presentation by a particularly eager student telling us what he did last summer and why we should go there too. That's not necessarily a criticism. Oden's main goal, which he repeats often, is in fact just that—to pique our interest so that we take up his quest as our own. The speculations and the flurry of historical facts and cultural insights are meant to excite us—prove him right or prove him wrong, just get yourself to studying Libya. For those looking for a straightforward text on Libyan church history, this book may disappoint. It is not until about halfway through that Oden breaks free from the pervasive over-eagerness and provides a more rigorous historical study—first on Synesius and then on the verifiably historical Christian communities in the pre-Muslim centuries. Which means that about half the book is a more general, and enthusiastic, overview of the Libyan context, and the second half is a more detailed, in depth study of particular people and locations—each section intending to show readers what gain there is in studying Libyan history. What gain is this? Christian readers from Africa would gain by having a stronger understanding of the African history of Christianity, which is not a recent history but an ancient one. For Christians outside of Africa, especially in Europe or North America, it is invaluable to be reminded that Christianity is not a European religion. For Muslims, such a study of Libya gives a different slant on what is often dismissed as a Western religion. Muslims in Libya would especially benefit from learning and discussing the earliest Christian sources—sources which have both cultural and religious insights for continued dialogue between these religions. My own early and continued interest in early church history prompts me to be convinced by Oden's fervour, if not always by his specific claims. And yet, for all his enthusiasm, Oden focuses his attention on those usual concerns of a church historian—the intellectual controversies, the theological developments, the names and dates and places, the heresies and the political battles. As he is writing a book that tries to interest us in pursuing a study of the early Libyan church, I can't help but think that Oden's text would not necessarily be of interest to those early Libyans themselves. 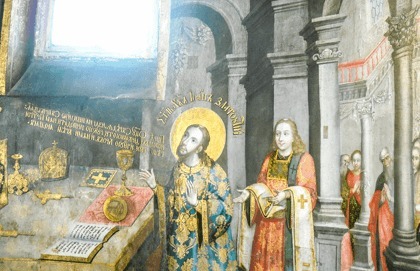 Theirs was a missional faith, a faith exemplified in the hymns and sermons of Synesius, a faith tested and formed in the midst of often difficult circumstances, whether external persecution, internal theological division, or the more mundane but no less serious violent attacks by those who simply wanted land and wealth. The faith of Africa was a faith forged among philosophical and physical conflict, testing the faith in the fires of uncertainty and discouragement. Yet, it was a faith that deepened and spread for many centuries. Oden tells us about this history, but it is not this history itself that resonated with me when I was in college—it was the faith they had, the hope and love they expressed, that drew me to their words. What about resonating such a faith in a different way, by pressing forward in the kind of life the Libyan Christians shared with one another? Missional Spirituality by Roger Helland and Leonard Hjalmarson is the sort of book that I think those early Libyans would have shared with each other. In this text, the authors point to both the inward and outward aspects of a true Christian spirituality, a holistic spirituality that forms us to be Christians in this world with a deepening and a broadening faith. It is, to use a word emphasized by Wolfhart Pannenberg, an exocentric spirituality that finds its roots in a love of God and a love for neighbour. This is a love that encompasses mind and soul, heart and strength in an embrace of a God-oriented life that resonates inwardly and outwardly. Missional Spirituality emphasizes an ecclesially oriented spirituality that isn't contained in the church or limited to only the more dedicated participants. Broad participation is itself a priority, and so Helland and Hjalmarson are calling for, in essence, a reforming of church communities along with a holistically oriented spirituality. Such church communities are seeking depth in Christ through a persistent humility that allows them to be open to each other, and to their broader communities. It is in the practice of faith with and for others that faith becomes a formative process that transforms individuals, churches, and neighbourhoods. Helland and Hjarlmarson go beyond intellectual encouragement. In keeping with their backgrounds, they are truly pastoral in leading the discussions with a combination of story-telling, Scripture, and conversational analysis, giving both theoretical insight and practical suggestions. Each chapter ends with a set of questions intended to initiate conversations and encourage both analysis and practices in specific communities, inviting readers to study this book with others. Which is, as I think about it, much what the early church writers sought to do as well—pointing us to life with Christ among others, a life that resonated deeply in Libya and continues to resonate in our lives today. We find in reading these two books together a wonderful sense of God's work in Christ in this world, a work that isn't European or American, a work that isn't just about the past or something new in the present. 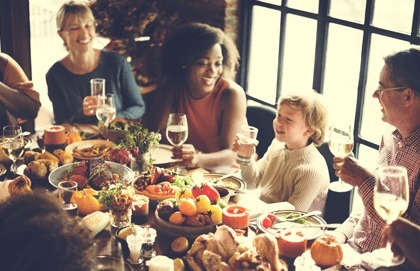 We resonate with the communion of saints that comes from all continents and reflects many languages and cultures, sharing with them a unity in a living God who is involved in this world and calls us to be involved in this world. 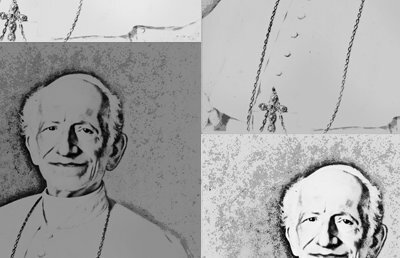 This communion of saints encompasses time and space, drawing us back to the wisdom of those who came before and drawing us now to live, in our contexts, a faith which has proven itself in so many contexts. This depth and breadth is what the faith of my childhood churches missed, focusing so much on a narrow range of issues in a narrow manner of approach that when the scorching heat of troubles came it became irrelevant to my life. Fortunately, scholars like Oden and pastors like Helland and Hjarlmonson remind me and others like me that there is more to this faith than our previous spiritualities could imagine. nor is the foot-print graven thereon of men whose cares are of the town. 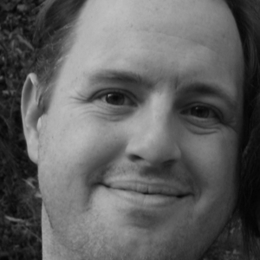 Patrick Oden is a PhD candidate in Theology at Fuller Theological Seminary. His dissertation is focusing on the theology of Jurgen Moltmann as it relates to liberation theology and the emerging church. He's the author of two books—It's a Dance: Moving With the Holy Spirit and How Long? The Trek Through the Wilderness. He and his wife Amy were blessed with their first baby, a girl, in April. In his spare time he loves hiking, camping on islands, staring at trees and watching ravens. You can't die to yourself by yourself.